Jharkhand is stationed in the eastern part of India. Along with other attraction, it is majorly famous for its waterfalls. It's a delight to go for long drives on our vehicles in this state. Goes without saying there are many two-wheelers and four-wheelers owners in this city. As we know in India if we possess a vehicle we need to abide by certain rules. This is applicable for every state including Jharkhand. In order to adhere to the law Jharkhand, RTO has been established. Jharkhand RTO is operated under the guidance of Motors Act of 1988. It is a large state inhabiting many districts. All the cities got separate RTO offices. These regional transportation offices play a great role in many things. 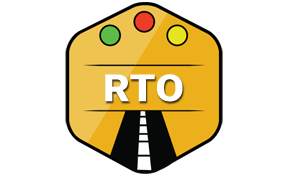 From issuing a license to vehicle registration, RTO is the sole entity to approach. It performs many other activities such as Issuing fancy Number plates to ensuring road safety. How To Get Desired Vehicle Number Plate Through Jharkhand RTO? As we know getting the number plates for the vehicle is mandatory. The color of these number plates has got a different significance. We must know what the numbers are meant for. This can help in preventing any kind of tampering as well. There are usually four parts of the vehicle number plate. First part is for the state from which the vehicle is purchased. The second part is for the district, the third part is the unique number. The fourth part is the logo of the country. There may be a slight change in plates as per vehicle types as well. At times people may prefer a specific number on their vehicles. This is more common in case of four-wheelers. However, this number is usually granted to only VIP or government officials. Nevertheless, it can be purchased at a special price. The normal cost of the same ranges from Rs. 3,00,000 and above. To get the number plate as per our choice we need to contact state RTO. If we are staying in Jharkhand than we can visit any of their local RTO offices. We need to check the RTO details of the city we are residing in and do the needful. If the desired number plate is approved then we can easily get it within a short time. Why do we need RTO in Jharkhand? RTO is a must in every state. Same goes for Jharkhand as well. It plays a vital role in many things. In fact, we can not manage without RTO. There are many mandatory documents that we need to possess which can only we issued by RTO offices. Jharkhand RTO facilitates us in following ways. In order to avail any of the services above we must know about the RTO office in our vicinity. Jharkhand got almost 24 districts. Each one of them has got unique codes. It's good to know all of them for quick reference. All the codes are mentioned below. We can visit or contact any Jharkhand RTO office near to our location. Some contact numbers & Email id alongwith address are as follows. Subarnarekha Link Rd, Jubilee Park, Sonari, Jamshedpur, Jharkhand 831001.